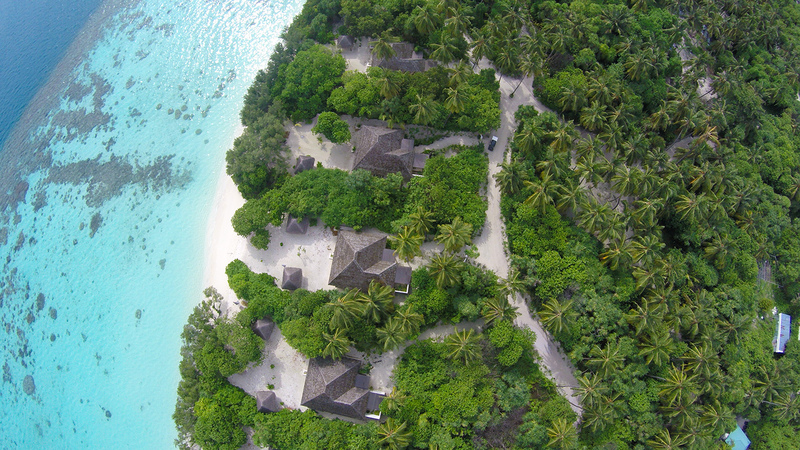 Four Seasons Kuda Huraa is the sister resort of Landaa Giraavaru, just a speed boat ride away from Malé. You arrive to the sound of a beating drum and welcome cheers from the staff. Staff will whisk you upstairs into the dark-wood reception where the whole floor is made up of individual mosaic tiles setting the tone for the classic, upmarket resort. The island is very well kept and has a rich array of colourful flowers. 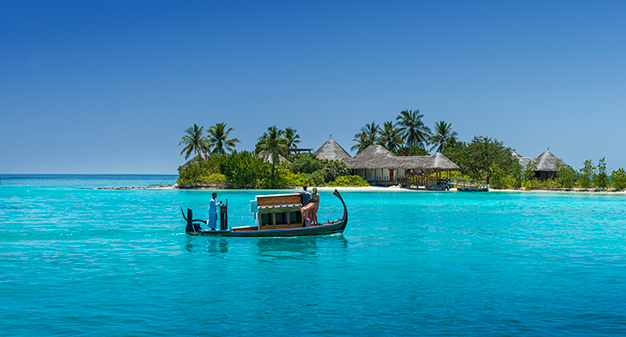 The Island Spa is just a minute’s boat ride by dhoni (a traditional Maldivian wooden boat) from the main island. Walk along a wooden platform and enter the spa reception which is very much the hub of the spa. There’s no gym or work out space here – it is solely about the spa. There are seven treatment rooms including overwater couple’s suites with glass bottom floors so you can peek at the fish during your massage. There’s a private steam or book in for a flower bath pre-treatment. Private yoga sessions are held in the open pavilion or undercover in a treatment room. When you’re ready to beautify, head to the Rossano Ferretti hair salon or manicure and pedicure studio. Try treatments using American brand Osea – rich in seaweed, these organic vegan products smell incredible but feel fresh and tingly on the skin. Every journey to the spa starts with a cold infused towel, ginger tea and dried fruit. The Four Seasons service is outstanding. We had the Night Spa Experience, Secrets of the Sea (150 minutes, from $600). The treatment starts when you are collected from your room by a therapist who puts a flower garland around your neck before whisking you off to the spa. 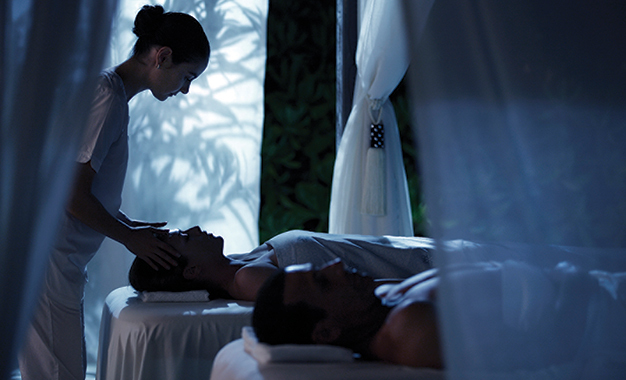 The spa is solely yours for the evening and, weather permitting, the treatment is carried out under the stars. 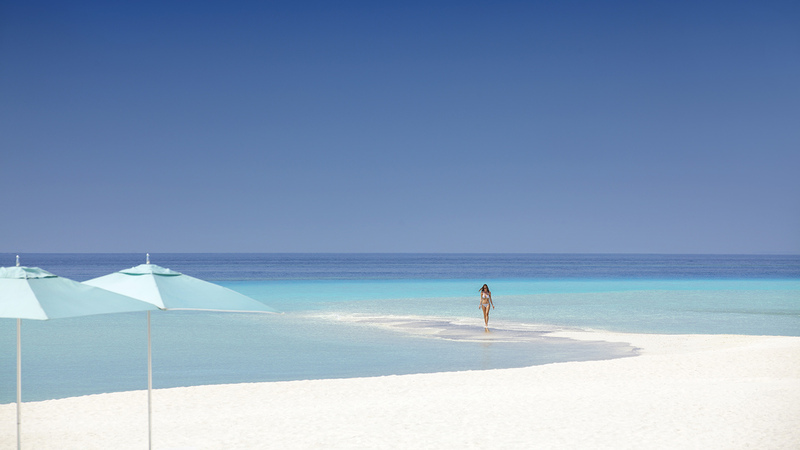 Relax to the sound of the ocean while being massaged on a water mattress. It takes your full weight and makes you feel as though you are floating on the sea. The frangipani and seaweed bath at the end of the treatment completes it perfectly. It is a unique and extraordinary spa experience. We also tried the Island Rescue Facial (60 minutes, $175) and Beach Boy Facial (60 minutes, $175). Both focused specifically on our skin concerns, but included luxurious neck, shoulder and face massage. 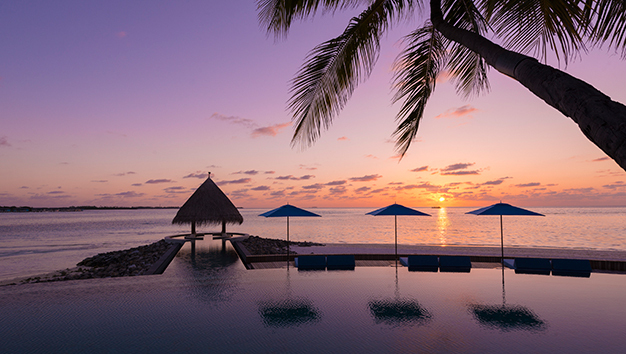 There are four restaurants to try at Four Seasons Kuda Huraa. Baraabaru is an authentic Indian restaurant with a tandoori bar. Dine under the stars at The Reef Club, try incredibly fresh seafood at Kandu Grill or Café Huraa has rotating international buffets. Yoga enthusiasts. The open air yoga sessions are peaceful, calming and just might become your happy place. One-to-one sessions will help develop your practice whether you’re a yoga newbie or guru. Parents. There is a dedicated kids club on the island so you can relax in the spa knowing that your little ones are being well looked after. Surfers. Take a surfing course, spend a week on a live aboard exploring rarely-ridden breaks or rock up watch the experts battle it out during the invitation-only Four Seasons Surfing Champions Trophy. If you can drag yourself away from the spa, head to the Marine Discovery Centre. See the work of the marine conservation team who look after over a dozen turtles, of all ages, to rehabilitate and release them back into the wild. Or take a late afternoon Dolphin Cruise with a resident marine biologists, to learn about the different types of dolphin and why these mammals have an affinity with humans. We spotted a large pod of spinner dolphins dancing in the sea.